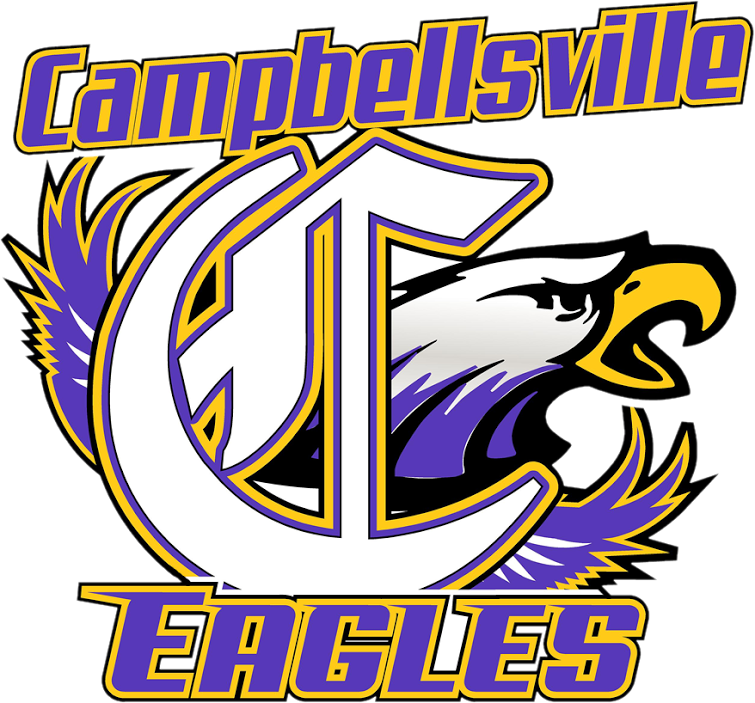 Campbellsville High School girls’ and boys’ basketball players were recently honored for their performance this season, in the classroom and on the court. 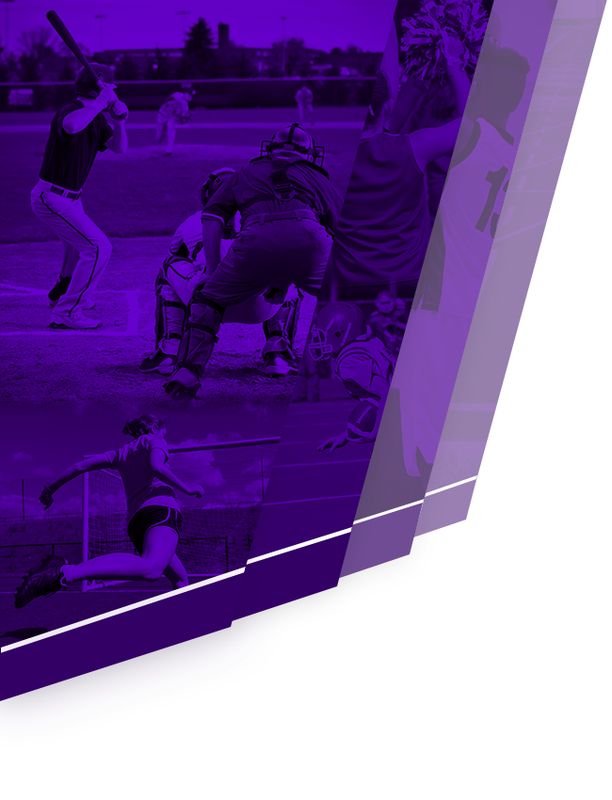 At the 20th District tournament championship games, this year’s all-season and all-tournament winners were announced. For the CHS girls’ squad, sophomore Abi Wiedewitsch and freshman Bre Gowdy were named to the all-district all-season team. Gowdy was also named to the all-district tournament team. And senior Malaya Hoskins was named to the all-district academic team. For the CHS boys’ team, senior Taj Sanders, junior Malachi Corley and sophomore Arren Hash were named to the all-district all-season team. 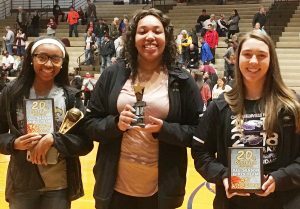 This year’s CHS girls’ basketball all-district award winners are, from left, freshman Bre Gowdy, senior Malaya Hoskins and sophomore Abi Wiedewitsch. 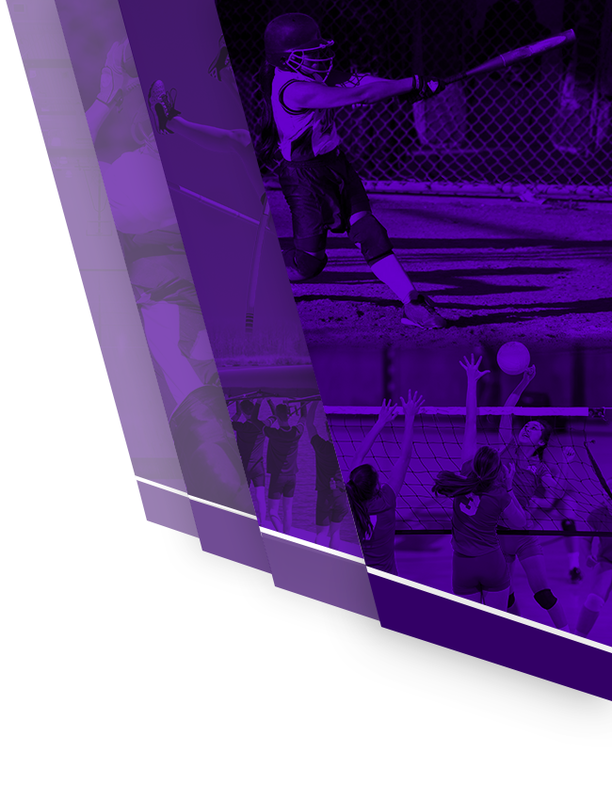 Wiedewitsch and Gowdy were named to the all-district all-season team. Gowdy was also named to the all-district tournament team. And Hoskins was named to the all-district academic team. 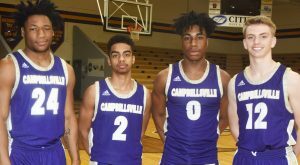 This year’s CHS boys’ basketball all-district winners are, from left, seniors Taj Sanders and Davon Cecil, junior Malachi Corley and sophomore Arren Hash. Sanders, Corley and Hash were named to the all-district all-season team. Sanders and Corley were also named to the all-district tournament team. And Cecil was named to the all-district academic team.